It is awesome to take some recycled cardboard, such as packing boxes, and make a nice drawer divider storage box, as shown in this DIY project. 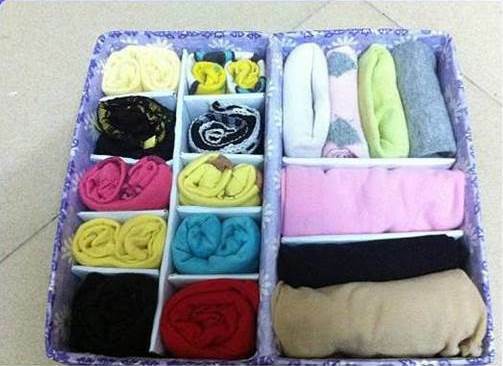 With its multiple dividers and compartments, this organizer is a great space saver to put away your underwear, socks, towels, bras, ties, scarves and other small items. 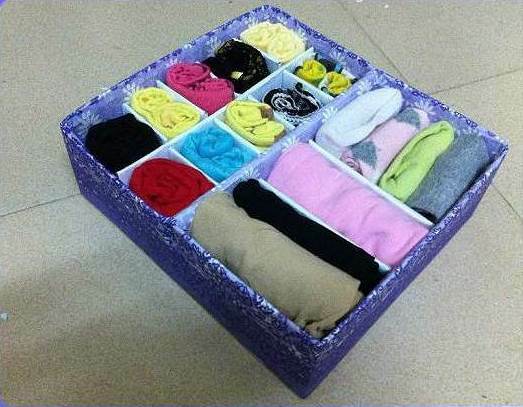 It’s very easy to make and you can be rest assured that everything will be organized and looking nice in your drawers. You can use your favorite wrapping paper or fabric to create your own style. Happy crafting! 1. Gather all the materials and tools. 2. 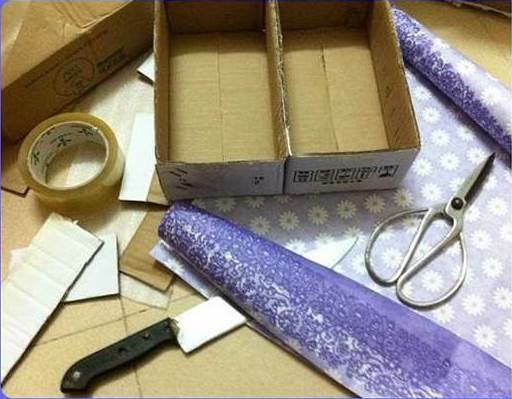 Glue the two boxes together and cover the inside with wrapping paper. Secure with glue. 3. 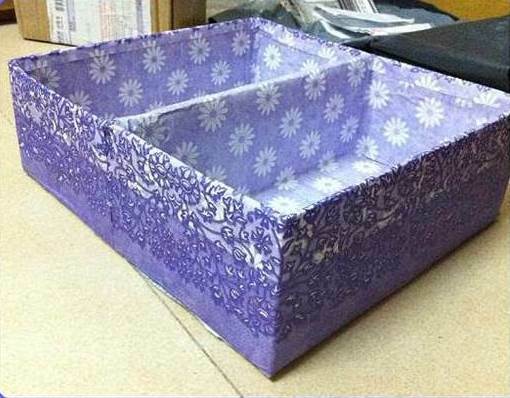 Cover the outside of the box with wrapping paper. Secure with glue. 4. Measure the size of the box and cut out corresponding dividers. 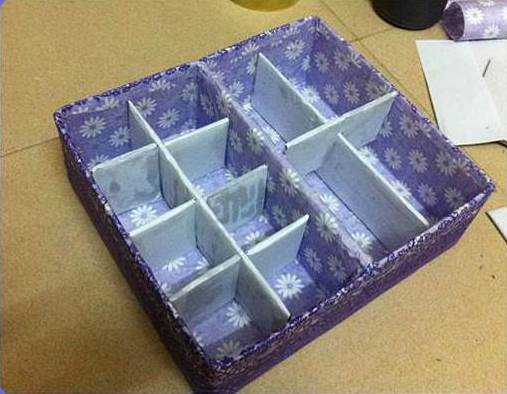 Again, wrap the dividers with paper and place them inside the box. 5. 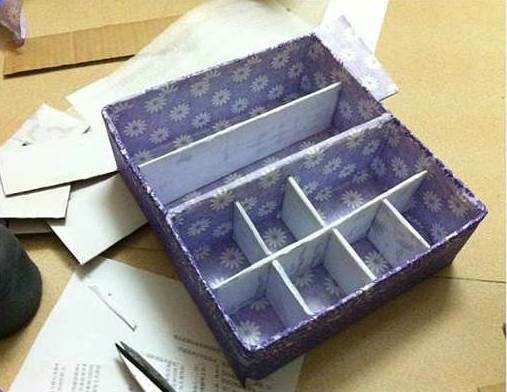 You can design how many compartments you want and make the dividers. 6. Place items inside the compartments. They look so neat and tidy. Enjoy! 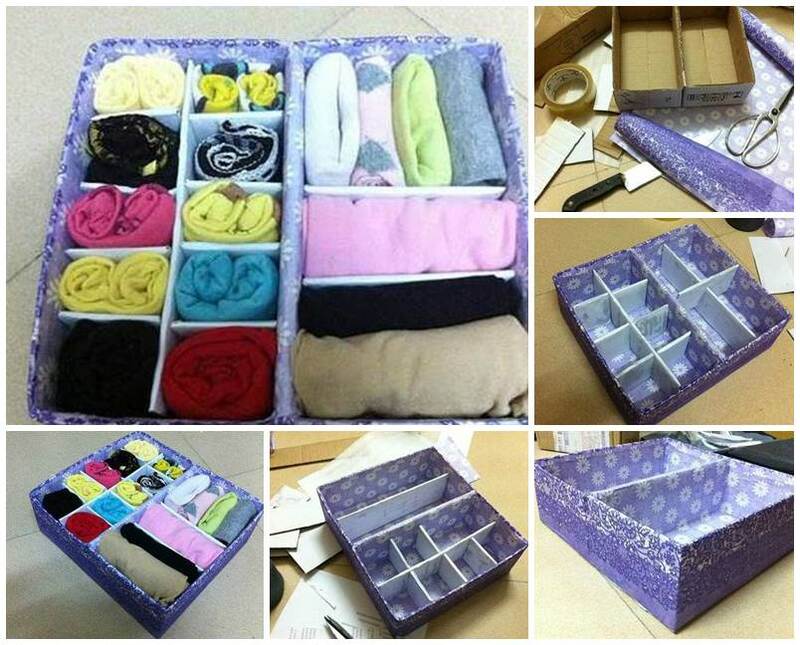 3 Responses to "DIY Easy Cardboard Drawer Divider Storage Box"
Awesome. 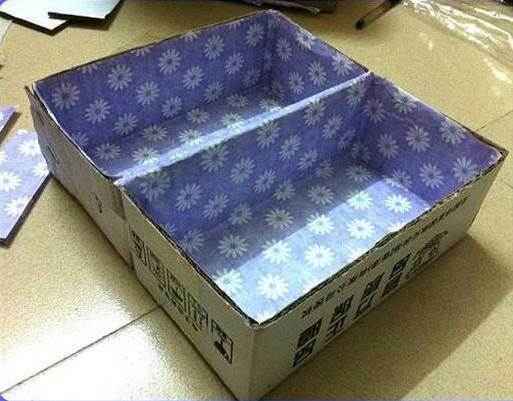 Now I know what to do with all the Amazon boxes and shoe boxes I get. I am a quilter and have tons of fabric. Thanks for sharing.